Hi there! This week I will be traveling to Houston, Texas for International Quilt Market. 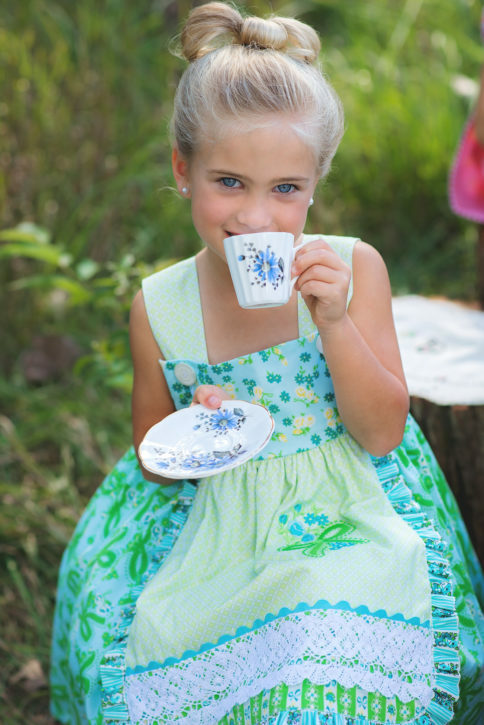 I’m so excited to debut my first fabric collection, ‘Dainty Darling‘, for Riley Blake Designs. 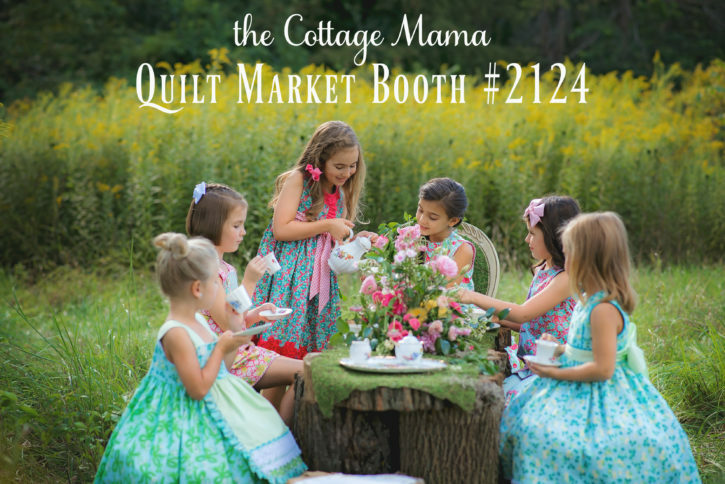 In my booth, I’ll be sharing all sorts of clothing samples, quilts, the coordinating ‘Dainty Darling’ machine embroidery and more! So, if you are attending market on October 29th, 30th or 31st, 2016, please stop by and see me at booth #2124. Or if your local shop is attending, make sure they stop by and pre-order ‘Dainty Darling‘ that will be hitting stores in February 2017. This fabric collection is so special to me and I can’t wait to share it with everyone! International Quilt Market is a trade show, so it’s not open to the general public. It’s generally where shops are ordering wholesale fabric, trims, notions, etc. However, International Quilt Festival is open to everyone and that starts a few days after market is over. I won’t be staying for festival since I have to get back to my 4 littles, but there will be lots of great vendors at festival as well. You can view some incredible quilts and shop for fabric, notions, trims, ect. My mom and I attended festival in Chicago when I was first getting into sewing and it was a wonderful experience! I hope to meet some of you in person this weekend at International Quilt Market in Houston, TX. Please come by booth #2124 to see the wonderful world of ‘Dainty Darling’. And even if you are a shop and can’t attend market, make sure to pre-order ‘Dainty Darling’ through Riley Blake Designs so that you make sure to get it right when it starts shipping in February 2017. Ruffle Shorts Tutorial Halloween Treat Bag Tutorial Fabric Portfolio and Notepad Holder Tutorial The Cottage Mama’s Sewing Basket: Tube Turners Whoooohooo – I’m a Finalist!! Can’t wait to see more pictures!! !